The Cover RX spa cover lifter is great for both square and round hot tubs! The base-plate of the lifter stays securely under the spa so you do not have to attach the lifter to the hot tub. 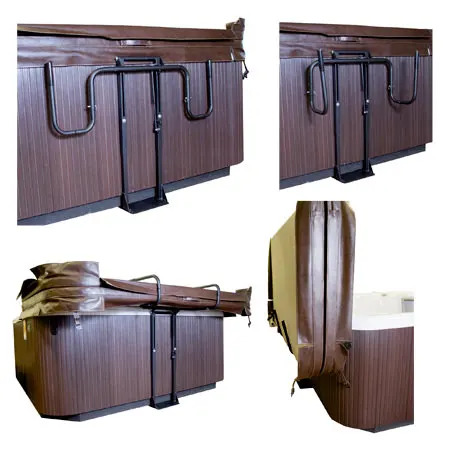 The Cover RX hot tub cover lifter uses a gas shock to help with easy one-handed hot tub cover removal and replacement. When the hot tub cover is open, the cover will act as a screen for privacy. The RX hot tub cover remover is constructed from heavy duty aluminum which will give you many years of service.